In this cadaveric case, Dr. Asif Ilyas demonstrates the ulnar nerve transposition method for treating cubital tunnel syndrome, showing both the subcutaneous and submuscular techniques. Instead of conducting a De Quervain's release on a patient with stenosing extensor tenosynovitis, Dr. Asif Ilyas walks through the procedure on a cadaver, demonstrating the approach to the first dorsal extensor retinaculum and providing tips to release it without injuring the radial sensory nerve. When the flexor tendons of the hand thicken or become inflamed, stenosing flexor tenosynovitis of the hand (also known as trigger finger) develops. Dr. Asif Ilyas demonstrates on a cadaver how to perform the most standard trigger finger release, releasing the A1 pulley and then decompressing or releasing the flexor tendon. Dr. Asif Ilyas performs a carpal tunnel release, the most common hand surgery, on a cadaveric hand. 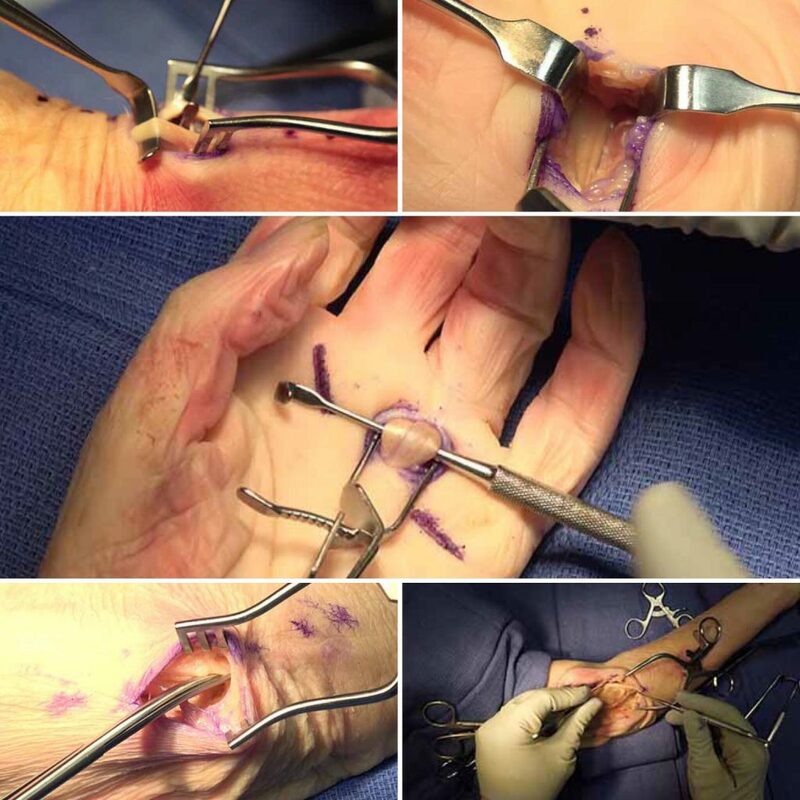 This surgery is typically done for paresthesia in the hand due to median nerve compression when non-operative treatment, such as splinting and injections, fails or becomes recalcitrant. We just preprinted 5 short cadaveric hand procedures by Dr. Asif Ilyas at the Rothman Institute in Philadelphia! Look for blurbs & quizzes in the coming weeks on Wednesdays & Fridays. Abstract: Total knee arthroplasty has evolved into a very successful procedure to relieve pain and restore function in the arthritic knee with advanced structural damage. Optimal results are dependent on the restoration of alignment and ligament stability. Operative techniques involve either preservation of the posterior cruciate ligament or substitution of its function through increased prosthetic constraint. The vast majority of knees do not require cruciate substitution to establish appropriate stability and function. This video outlines the operative technique used by the author for posterior cruciate-retaining total knee arthroplasty in a patient with a preoperative varus deformity. Dr. DiGiovanni fuses the subtalar joint of a patient suffering from posttraumatic arthritis. The video-article includes an Introduction, Exposure (via Ollier approach), Preparation of the Articular Surface (with emphasis on proper articular denuding procedure), Bone Grafting (autograft from proximal tibia), the actual Fusion procedure, Closure and closing remarks by Dr. DiGiovanni about the importance and future direction for this particular arthritic pain relieving procedure. Dr. Li addresses an ACL torn after a pivot shift incident using a BTB autograft. The anteromedial approach to ACL reconstruction offers the advantage of reliably reproducing the native anatomy of the ACL on the femur footprint by drilling the femoral tunnel independently of the tibial tunnel.